Nana & Rene. 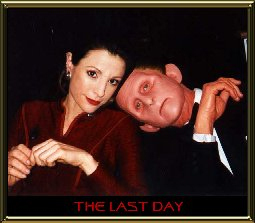 The last 日 of shooting DS9 - 20th April 1999. Wallpaper and background images in the Odo and Kira club tagged: rene auberjonois deep space nine kira nerys nana visitor ds9 star trek odo odira.